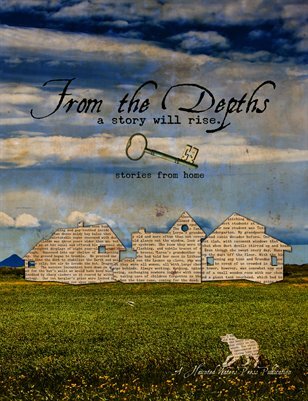 Stories from Home features works of fiction and poetry where the heart of the story lies within the places we call home. More than just the brick and mortar, stones and beams, these stories go beyond the walls that kept us safe and warm. Join us as we journey back to the woods, lakes and schoolyards of our youth. Within these stories you will find new beginnings, nostalgic homecomings, and heartfelt goodbyes. With works from Carey Russell, Sarah Colleen Coury, Sheila Thorne, Alex Layman, Jennifer Battisti, Shawn Aveningo, Sean Padraic McCarthy, Louis Gallo, Catherine Simpson, Patricia Koelle, Pat Phillips West & John Kenneth Jensvold, Adrienne Fowler, Christine Edwards, Debby Warren-Manning, R. Rose Simon, Heidi Andrea Restrepo Rhode, Aliki Waller, Jen Phillips, Samuel K. Wilkes, Alan Goudie, Jess Carson, Cindy Shepard, Gwen Hart, Danielle LaPorta, Allison K. Garcia, R.C. Neighbors, Alexis Haight & Miranda Stone.